OK, I know a lot of you think the term “perfect Chardonnay” is an oxymoron. There’s nothing perfect about Chardonnay, right? It’s the wine people love to hate. There’s a lot of posturing, group-think, stereotypes and over-oaked plonk that created all that disrespect, which we can’t get into here. So if you really don’t like Chardonnay, you can now move on to something far more productive than this little report. There’s nothing conforming or clichéd about this wine. I had it with a casual meal of grilled mild Italian sausages on a bun with brown mustard, organic tomatoes, jalapeno-flavored pickles, plus sliced carrots and sweet peppers as garnish. (The Dead’s Houston show from 11-18-72 was the soundtrack.) 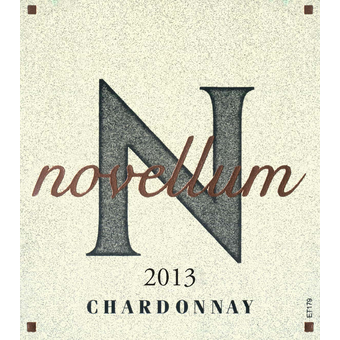 The Novellum’s nose is very bright and makes you want to drink it right away – there’s a little butterscotch on it. It’s explosive on the mouth. Right away, you get vanilla and bread. It finishes strong and clean. It’s really a voluptuous wine and, considering it’s not oaked at all, still has a buttery taste – you can chew it a little. To me, a perfect wine is interesting, complex, memorable and priced at a point where you don’t have to think twice about opening a bottle for a casual Tuesday night dinner. The Novellum is perfect. Next Post: 1965: A Perfect Year for Music?